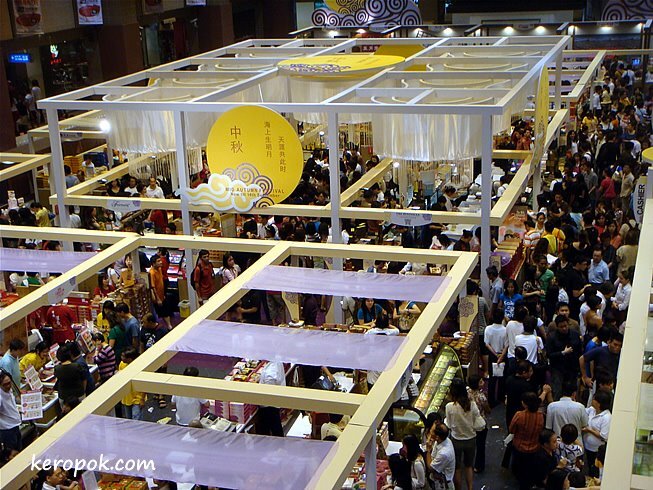 'Boring' Singapore City Photo: Hundreds of people tasting and buying mooncakes. It's an annual affair. Hundreds (or maybe thousands) of people will visit the Takashimaya Square to taste hundreds of different flavour of mooncakes on sale. After finding the one they like, they will purchase a box or two to bring home. From now till 14 September. i wonder what's the difference between a piece of $2 mooncake and a piece of $12 mooncake.